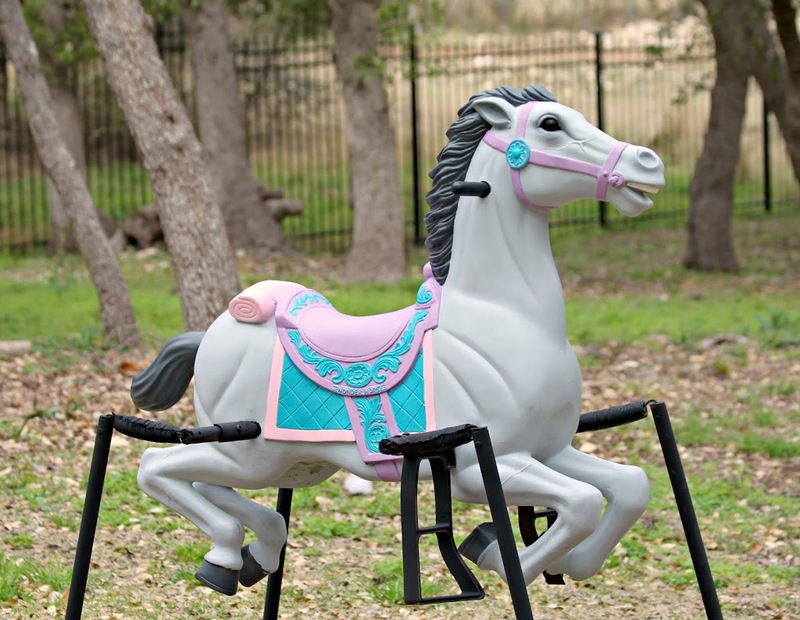 I really wanted a carousel horse for my daughter’s room but it was way out of my budget! 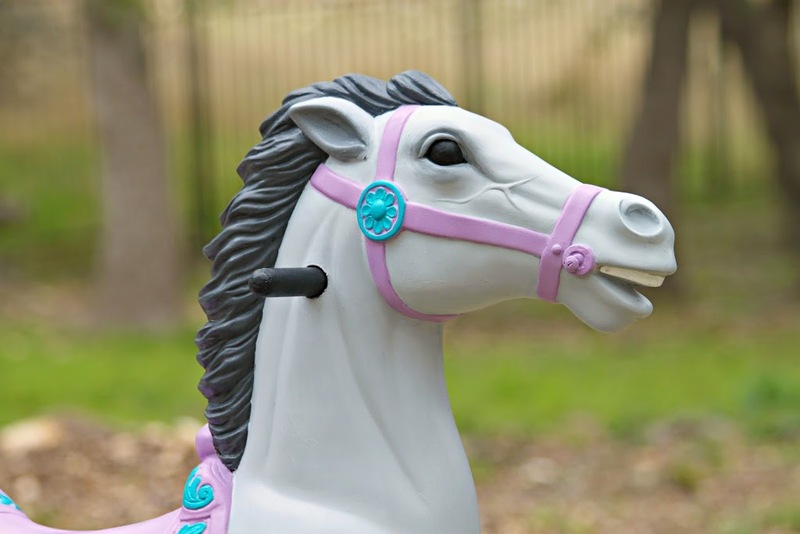 When I saw this beautiful spring mounted hobby horse I decided to use DecoArt’s Chalky Finish Paint to make this faded toy look like a carousel horse! I know I say this a lot, but this is easily one of my favorite projects ever. I just love the way the colors turned out, and how easy it was to accent the details with the huge variety of colors available. I made this project for DecoArt, and you can find the full tutorial on their blog HERE. 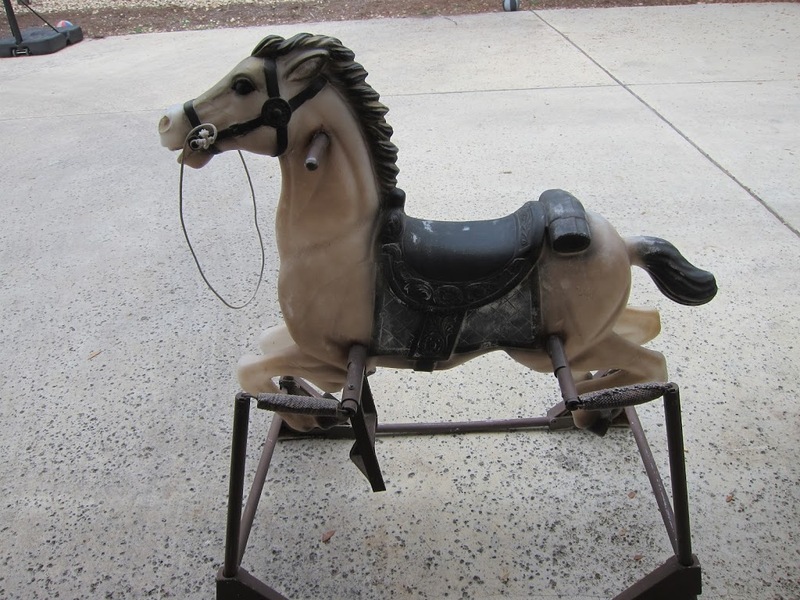 The body of the horse: Yesteryear. The tail, mane, and hooves: Relic. Eternal and Carbon to paint details on the face. 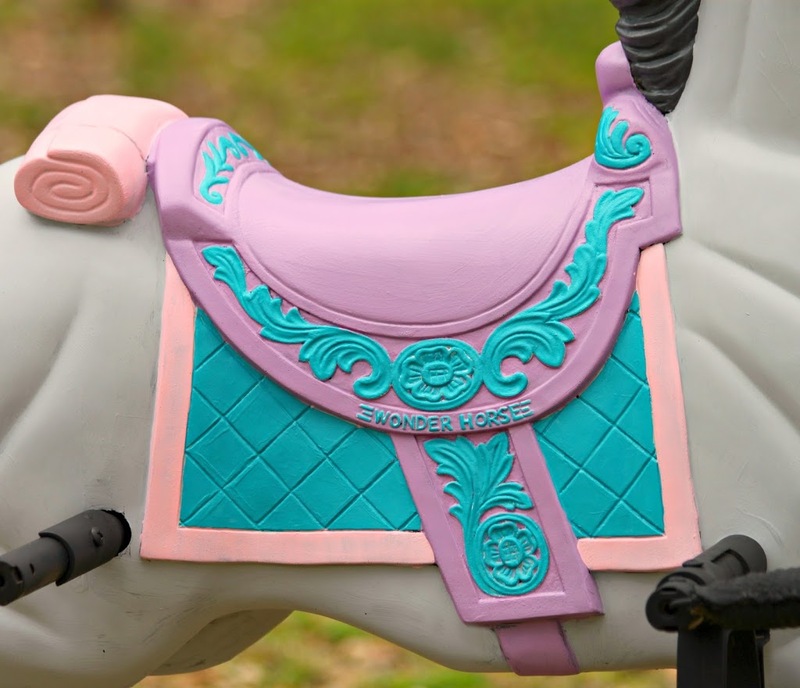 Saddle and accessories: Remembrance, Treasure, and Innocence. Full tutorial with instructions HERE. With fresh paint, this old treasure has found a new life.